In the first season of "Friends," Rachel Green looks at her first paycheck as a waitress and asks, "Who's this FICA guy, and why is he getting all my money?" That's one hard lesson about Social Security. Another is that when it's time to claim, you can't depend on the Social Security Administration to be your personal adviser. 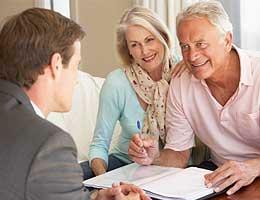 In an effort to save time and cut costs, Social Security employees generally don't give case-specific advice. So that means you are on your own to make the most important financial decision of a lifetime. You have to read the rules and do the research yourself. William Meyer, whose website, Social Security Solutions, gives Social Security advice for a fee, says you also can't depend on Social Security to follow instructions you give them electronically. If you have a request that is not the most common choice, you'll need to go to the Social Security office and make the request in person, he says. 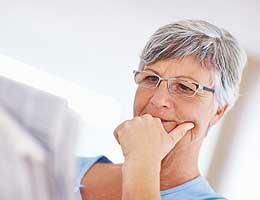 Read on to brush up on Social Security benefits that are not commonly known. There are more than 300 ways a married couple can decide to take their Social Security benefits, according to Alicia Munnell, director of the Center for Retirement Research at Boston College. You can't ask Social Security to list them all, so what's the right choice? 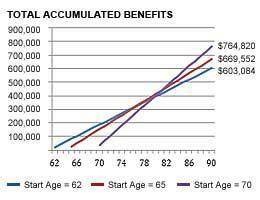 Munnell says it's hard to beat waiting until you're 70 to begin benefits because the monthly payment is 76 percent higher than it would be if you had started to take benefits at 62 and 32 percent higher than it would be if you claimed at age 66. On the other hand, some people advocate drawing Social Security benefits at the first opportunity. Doug Carey, who founded the financial planning software firm WealthTrace, says Social Security doesn't see itself as an odds maker, but it does require you to bet on your longevity. He offers this chart as proof. It graphs the break-even point for a person who earned the inflation-adjusted equivalent of $70,000 per year for 35 years. If this person waits until 70 to claim Social Security and lives until at least age 90, he'll accumulate almost $162,000 more in benefits than he would if he had claimed at 62. But there's a possibility of losing the bet and getting nothing. 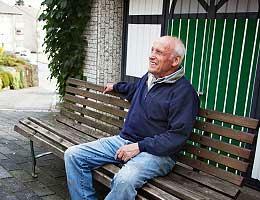 Retired law professor and Social Security expert Merton Bernstein says the longevity bet odds are bad, so claim early. "You never know when the bell will ring. I subscribe to the Woody Allen principal: 'Take the money and run.'" If you're not happy in your marriage after nine and a half years, hold off before hiring a divorce attorney. "Stay married for at least 10 years," says San Francisco-based Bank of America personal banker Raphael Gilbert. Why? That's what it takes to stake a claim to your ex-spouse's Social Security benefits. If you terminate the marriage after nine years and 11 months, you're out of luck. If you make it for 10 years, you can collect a Social Security benefit based on up to half of your ex's earnings or on the basis of your own earnings -- whichever is higher. And we have another dirty little secret for you. If you haven't remarried, chances are your ex-spouse is worth more to you dead than alive -- especially if he or she was a high earner. 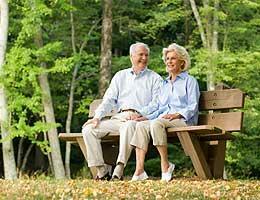 Once an ex-spouse passes away, you'll be treated just like a widow or widower. If you are at least 60, you'll be able to collect your late-spouse's benefit and allow your own benefit to grow unclaimed until you reach age 70, when you can switch if your own is higher, according to Carol Thomas, who worked for the Social Security Administration for 28 years and answers questions about Social Security at RetirementCommunity.com. Assuming your ex will dwell on Planet Earth to a ripe old age, the longer your ex-spouse delays claiming Social Security, the better it is for you. So, if you get a chance, encourage your ex to work until age 70. Then, when it's all over, you'll get to claim half of his or her maximum Social Security. Or once you and your ex-spouse reach full retirement age -- usually 66 -- you can claim half your ex's benefit and let your own grow untouched until you're 70, says Thomas. Consider it payback. Social Security does a good job of explaining widow and widower benefits, but Ken Luck, a spokesman for TIAA-CREF Financial Services, says it doesn't clearly spell out a key difference between widow/widower benefits and spousal benefits. A widow/widower can begin benefits based on his or her own earnings record and later switch to survivors benefits or begin with survivors benefits and later switch to benefits based on his or her own record -- even if the surviving spouse is filing before full retirement age. You can't do that with spousal benefits. In other words, a widow can begin drawing the full amount of her late husband's Social Security when she is as young as 60. Then she can choose to leave her own Social Security alone, allowing it to grow in value until her full retirement age -- or even age 70. This works for widowers, too. When you apply for disability insurance, Social Security doesn't tell you that your first step ought to be hire a lawyer or other expert adviser. Allsup, a private firm that advises people about how to get SSDI, says Social Security doesn't even make it clear that an applicant can have representation from the very beginning of the application process. As a result, lots of people don't get help until they've been initially denied, and that slows down the process unnecessarily, according to Allsup spokeswoman Mary Jung. Jung also warns SSDI applicants to be accurate and precise on the application. Small mistakes can make a big difference. Minimizing how much exertion was required to perform the person's job is a common mistake that frequently results in denial of a claim. The Social Security website offers an explanation of how your benefits are calculated, but it's a little hard to follow. You can find a simpler explanation at myretirementpaycheck.org, a website sponsored by the National Endowment for Financial Education. 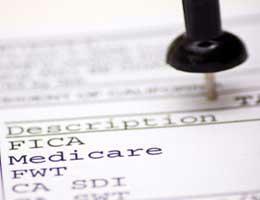 Your Social Security payment is figured using a complex calculation based on a 35-year average of your covered wages. Each year's wages are adjusted for inflation before being averaged. If you worked longer than 35 years, the government will use the highest 35 years. If you worked for less than 35 years, they'll average in zeros for the years you are lacking. You don't have to be a math genius to figure out the impact of that -- it drags down your average. 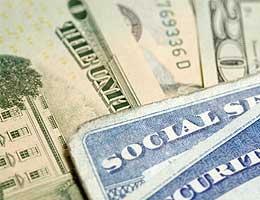 If you can avoid zeros by working a couple of years longer, you'll increase your Social Security payment.